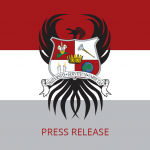 Official Statement in Support of Survivors – Kappa Phi Lambda Sorority, Inc.
October 8th, 2018 – – Kappa Phi Lambda Sorority, Inc., is an organization rooted in three core pillars but also just as importantly, an organization dedicated to empowering our members and women across the nation to not only do good, but do better. We believe in their wellness, their success, their vision, their passions, and their voices. As an organization empowering women to be their best, it means we are made up of individuals who lend an ear to others, not only to hear, but to listen well. With the current events politically unraveling before us, it is easy to feel like not everyone has a platform to safely come forward. The topic of sexual assault and violence has been brimming headlines for years, weaving through power differentials, gender gaps, and overall indifference. But sexual assault and violence is not a subject to be indifferent about—it’s one we need to fight against, collectively, until the day it isn’t an issue at all. Kappa Phi Lambda Sorority, Inc. (ΚΦΛ, also known as KPL) is an Asian-interest sorority founded on March 9th, 1995, at Binghamton University. 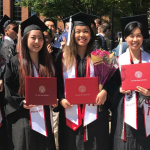 As one of the fastest growing Asian-interest sororities in the United States, KPL strives to strengthen sisterhood amongst women by providing service and promoting cultural diversity to their members and their community. For more information, visit http://kappaphilambda.org. 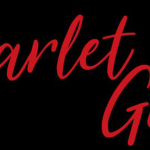 The Kappa Phi Lambda National Alumnae Association is hosting the bi-annual event, Scarlet Gala at The Heist in …..